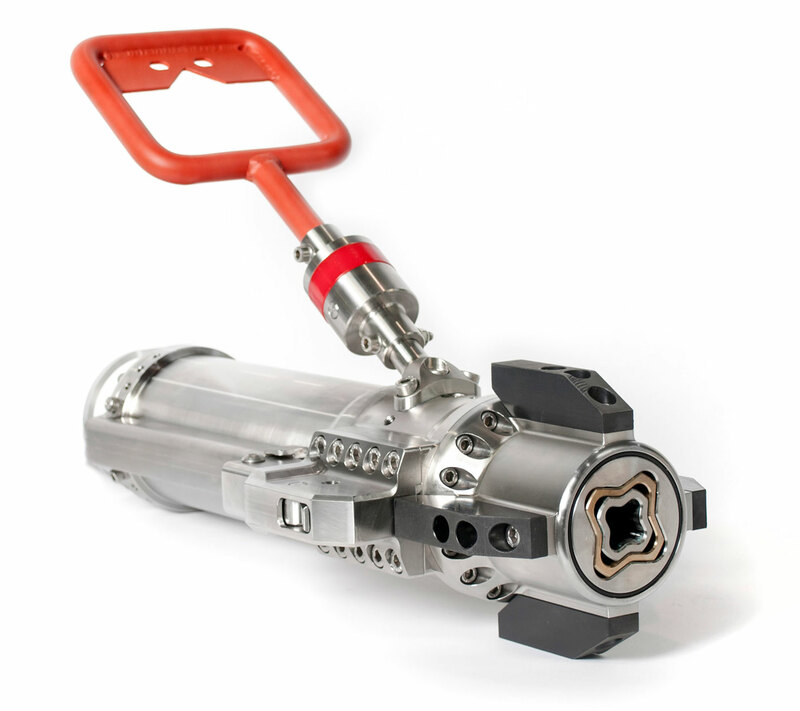 Considerable savings in major torque intervention projects are reported by five subsea operators who were early to adopt the new smart electric torque tool from TMT and Saab Seaeye and is now available as a rental option. The new small self-calibrating class 1-4 torque tool is bringing considerable savings to torque tool tasks. Offshore operator, McDermott, found they could get a rapid configuration change to their electric tool with accurate torque operations and speeds up to 30 rpm, operating eight valves requiring 90 to 107 turns each. At an optimum time of 10 minutes per valve, considerable vessel time was saved. Sold in the northern hemisphere by Saab Seaeye, the world’s largest manufacturer of electric underwater e-robotic systems, and in the southern hemisphere by Australia-based Total Marine Technology (TMT) its market reach has now been extended to the rental option. The early success of the electric torque tool concept comes from being a self-calibrating, highly accurate torque control system set in a small, fast to set-up package. A key benefit for subsea operators is the tool’s ability to adapt automatically to Class 1 to 4 fittings and torques whilst performing the integrity-critical task of opening and closing seabed valves and other torque tensioning tasks. As a software-managed system, it is possible to achieve far more accurate and finer control and feedback than with a hydraulic system. At half the weight of its hydraulic equivalent, it can be operated from an electric robotic vehicle of a much smaller size than is normally required for hydraulic systems, allowing smaller support vessels to be used.